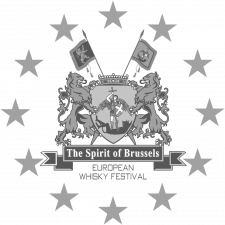 This first edition of the whisky festival The Spirit of Brussels will be held on Saturday 6 April, 2019 at the Holland House, Aarlenstraat 20, 1000 Brussels (Place du Luxembourg). You can taste your selection out of more than 500 excellent (malt) whisky’s and other premium spirits. The brand ambassadors like to tell you the story behind the brands and the authentic distilleries. Enjoy the real “whisky way of living”. The festival is a one day event from 13.00 hours (1 pm) till 19.00 hours (7 pm). The entrance fee includes a nice whisky nosing and tasting glass. The tasting of the whisky’s and premium spirits is in general included: a dram is one tasting.